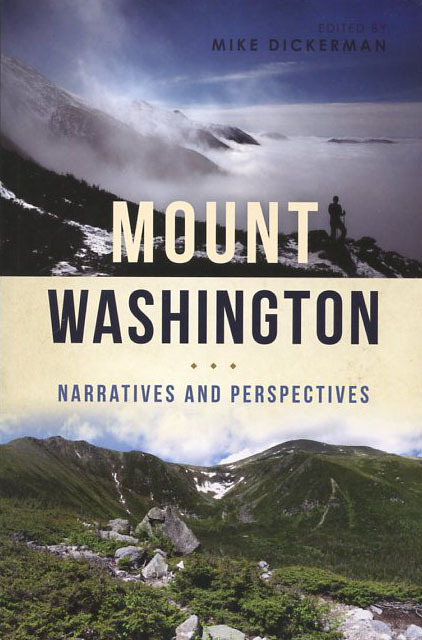 Mount Washingon: Narratives and Perspectives, edited by Mike Dickerman, 2017. This excellent anthology features 21 pieces written about the iconic peak of the White Mountains, covering many facets of Mt. Washington's fascinating history. Subjects include early explorations, legendary personalities, hotels, the Cog Railway and Carriage Road, tragedies, scenery, skiing and notable weather events. Illusstrated with many vintage photos. 224 pp., 6" X 9. ".